Tollers Solicitors chose Age UK Bedfordshire, Age UK Milton Keynes, Age UK Northamptonshire and Age Concern Stevenage who have centres that are local to our offices, as our Charities of the Year from April 2018 - March 2019. Age UK local centres provide support for older people and their families, including Lunch and Tea Clubs throughout the county. Their services are designed to give older people a place to meet with others in a similar situation. With loneliness amongst the elderly an increasing concern, events such as these are important within communities and we have been proud to support them for the last year. Tollers’ staff held many activities during the year, ranging from guessing how many Easter eggs are in the jar and Friday dress-down days to baking cakes for an Ascot Ladies Day event and helping in a tea-tent! 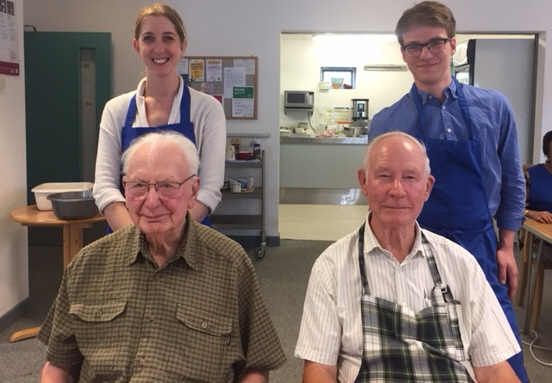 In June 2018 and January 2019, volunteers from Tollers solicitors put on their pinnies to assist with the lunch club at Age UK Milton Keynes’ Peartree Centre. The lunch clubs are run every Monday and Wednesday. Visitors arrive at 10am and are greeted with tea/coffee and there is lots of chat. This is followed by puzzles and bingo, then lunch. All our volunteers found the morning to be a very rewarding experience. 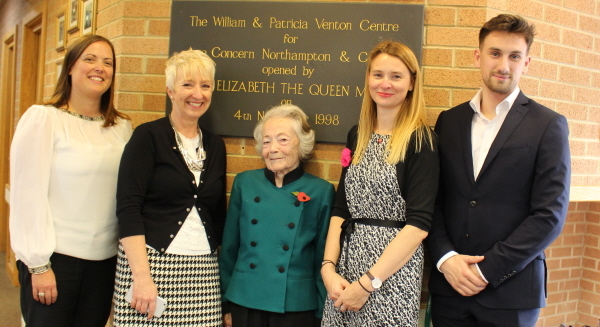 During November 2018, 16 volunteers from Tollers Solicitors supported Age UK Northamptonshire with their 20th anniversary celebrations at the Venton Centre in Northampton. Our volunteers welcomed clients, made drinks and helped with activities including quizzes and ‘Rummikub’. Lunch was then served in the dining room. Each afternoon there was a wonderful sing-a-long, with numbers such as ‘We’ll Meet Again’ and ‘My Old Man Said Follow The Van’. In the true spirit of the Venton Centre, this was followed in the afternoon by tea and cake. Fern Upton, Age UK Northamptonshire’s Service Manager said “Thank you so much for volunteering – it makes a big difference”. During April and October, Tollers staff had a ‘clear-out’ and were delighted to deliver a large number of sacks of clothing and bric-a-brac for Age UK Northamptonshire and Age UK Milton Keynes’s charity shops. Bake sales are a regular occurrence at Tollers and the highlight of the baking year was the Tollers’ Christmas Bake-Off. 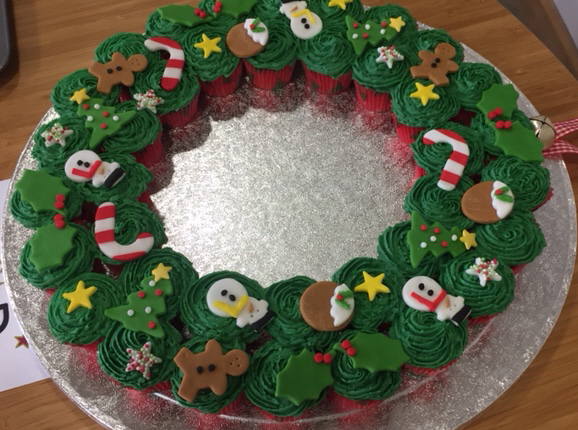 There were some fantastic creations and the winner was Jane Owers, Receptionist, Northampton office for her festive cupcakes. 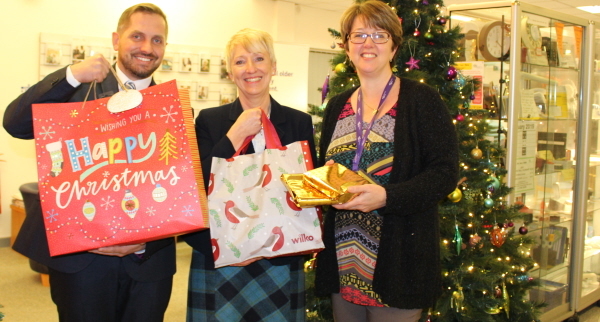 Tollers’ staff were proud to donate and deliver Christmas presents to Age UK Northamptonshire Christmas parties at The Venton Centre in Northampton and The Four Seasons Day Centre in Kettering. We also delivered food items to Age UK Milton Keynes for their food hampers.